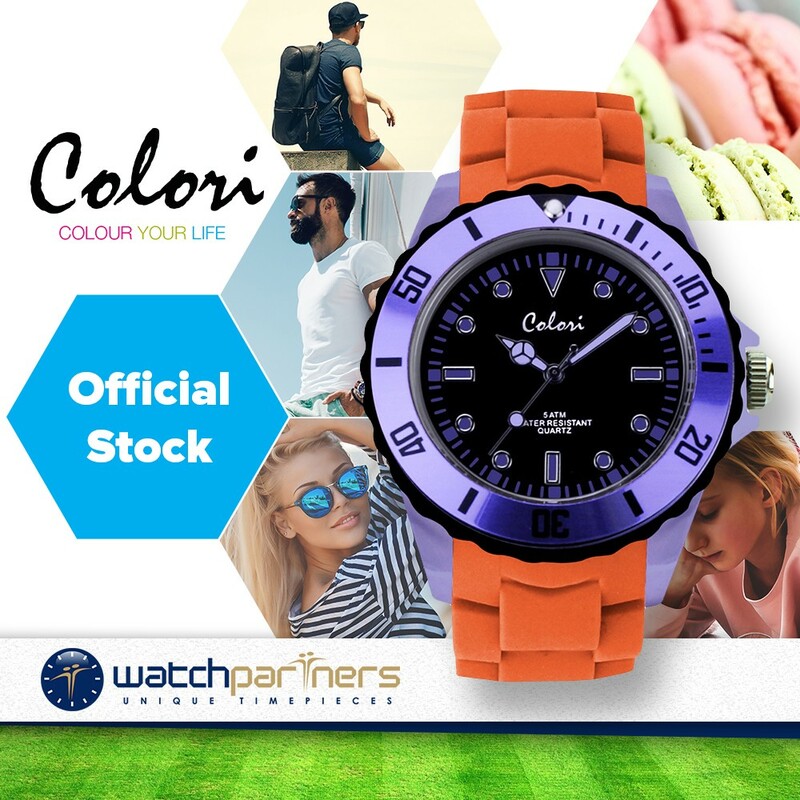 The Colori Color Combo Watch has a really striking appearance. Dimensionally the timepiece has a well-proportioned 44mm lilac colour Polyamide case size. 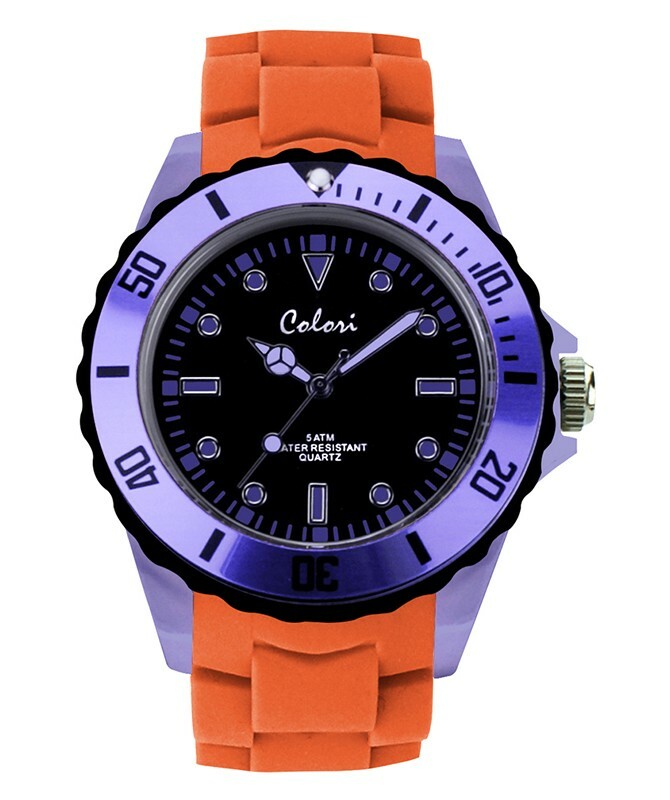 Eye-catching features include a rotating black/lilac bezel, black dial with contrasting lilac numerals, orange silicon strap and mineral glass. At the heart of the watch is a Japanese made Miyota quartz movement.